McMansions 101: What Makes a McMansion Bad Architecture? Ta, that was great! For someone without an artistic bone in my body … I kinda got it! Enjoy her take on Betsy De Vos’s summer cottage. Here’s what happens when you combine this level of bad taste with Betsy’s wealth and her new responsibilities as Education Secretary. 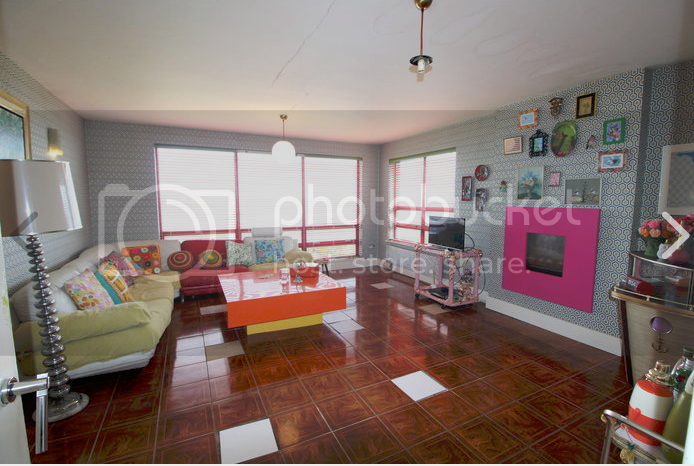 The interior of this houses is AWESOME, like living in a real world Mr Men house on acid! Nor is that intended as an disparaging remark. Sure, it’s probably not to a lot of peoples tastes (or tolerable gamut range) but it darn well looks like a labour of love with a lot of personality. A gripping schism of 70’s colour & pattern meets 50’s Americana on a leisurely seaside bicycle ride, terminating in a visit to the veritable bargain bin of Ikea to bag a prize of the perfect finishing piece engaged with all the might, exuberance and innocence of child like joy that should be expected when hooking a duck to win a prize at the travelling fairground of interior Tetris delights. The question is can yon live in someone else’s labour of love with such loud personality? Wallpaper is same design as the carpet in the shining. Something along the lines of Hitler-house in need of a more fitting title. 7 iron into the rough house? Give credit for something a little different from the bog-standard semi-d.
That is an awesome interior. Love it. I agree on the awesomeness. How many people are in the market for 1969 though. I don’t know, it’d be a hard house to live in with a hangover. Does anyone want to buy a used theremin? I haven’t touched mine in years. 4,400 square foot of McMansion in Bannagagole, on 4½ acres with vegetable plot. Yay! I got to apply the McMansions guide posted by snaps on the previous page. All boxes ticked. In fairness, the exterior is not awful but the interior is pure Irish domestic folly. 408 sq. M. but they’re still eating off the granite-top island in the kitchen. The entrance hall is a barn but at least they resisted the sweeping grand staircase. Yeah, I don’t think the outside is that bad. The inside is hobbled by the typical poor quality finishes (e.g. pine flooring) you get when you spend all your country manor budget on square footage. That’s exactly what I did too! My conclusion from the interior was that this is basically a “bungalow bliss”-style classic Irish layout, just with extra rooms. some of the ugliest new builds i have seen, they look worse in the ‘brick’ ? decent value per sq foot but i think church roads days (if they ever existed?) as a premium road are gone and these houses are pretty horrible. I don’t dislike the property so much, but I do dislike the fact that for 1.5m I would have a shared driveway (nightmare) and be overlooked by all my neighbours! 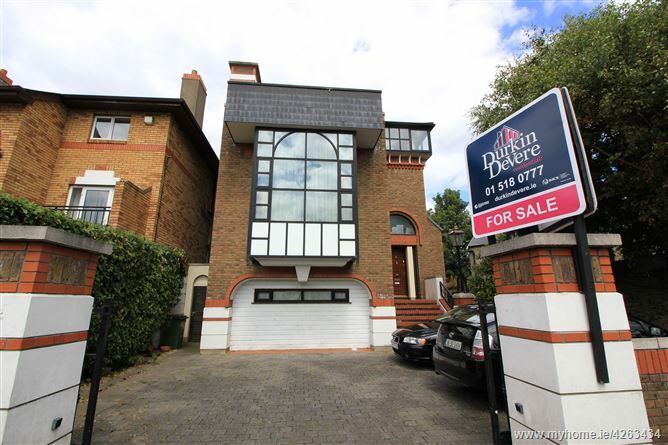 92 Howth Road, “Clontarf” was asking 850k in April 2016. Still needs renovation, but at least the asking is more reasonable.